We are only a day and a bit away from the upcoming Microsoft Build Conference, and one of the big questions we are all asking ourselves is what will they name “Windows 8”. Personally I am in favour of keeping the name Windows 8. It will match up nicely with Windows Phone 8 when it launches in the autumn of 2012, and it is a clean and elegent name as was Windows 7. The 8 itself could be given many nice graphical treatments, but we need to remember that this is Microsoft. Their track record of great branding is not that impressive. As dull as I find Apple these days (apart from the gorgeous but overpriced hardware), and as boring as I find their naming convention of late (iSomething = iBoring), they manage the media and presentation in a way that always seems to impress. So if not Windows 8, then what? I have been following the forum threads and MaryJo Foley’s article on her ZDnet blog. As a fan of the new UI, and even growing to like this multi-coloured approach to the Metro UI (compared to the single accent colour Windows Phone and Xbox 2011 UIs). 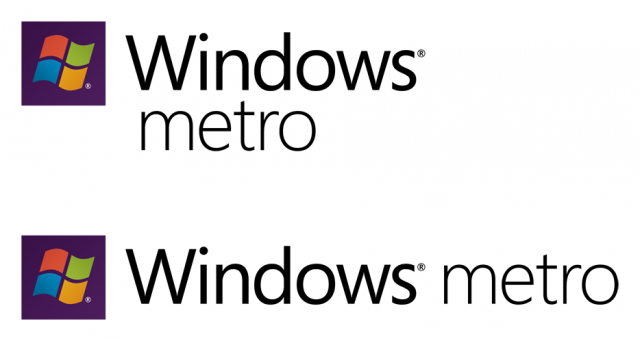 So to cut a long story short, here is a quick logo idea for Windows Metro. My thoughts at the time were that they would use the colours and subtle gradients from the Windows 8 tiles, and adopt the Windows Phone logo in a square. I did not expect them to totally replace the flag, although the new logo has grown on me! I agree with the name, it’s an obvious choice. I think, however, that 8 is the name, as will be for WP8. There are even rumours of the Xbox predesessor being called Xbox 8!! 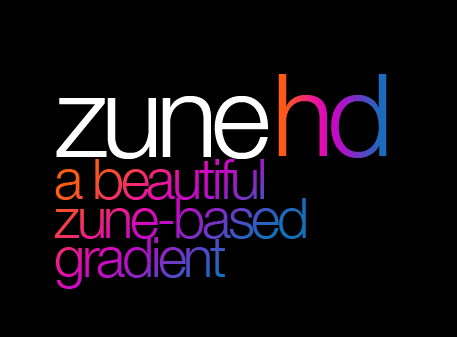 Anyway, just wanted to mention that besides in text (like here http://fc04.deviantart.net/fs51/i/2009/263/1/5/Zune_HD_Gradient_by_VengeanceDesigns.png), I’m pretty sure that a gradient breaks Metro. Unless my eyes fool me and the purple box behind the [now-defunct] flag isn’t a gradient.